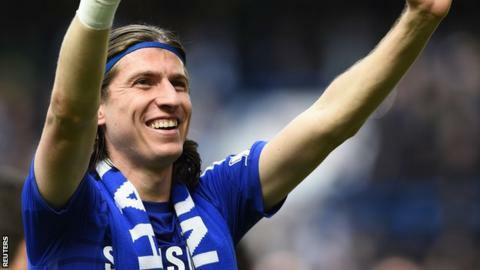 Atletico Madrid say they are in talks with Chelsea over left-back Filipe Luis's possible return to the club. The Blues paid Atletico £15.8m for the 29-year-old Brazilian a year ago, yet he made only 26 appearances for the league champions last season. "There are negotiations in place but I don't know how fruitful they will be," Atletico president Enrique Cerezo said. Luis, who has two years left on his deal, won La Liga and the Europa League during his four seasons with Atletico. Cerezo added: "We would be delighted if he comes back and I think that in the end, we will find a solution. "As always, the financial aspect takes precedence over the sentimental aspect but I believe a deal can be reached."